The F86 features a dense and precise tip for perfect cheek highlighting and contouring for a flawless makeup application. The Mrs. Bunny Kits have become a top seller thanks to the extreme softness of the brushes and the baby blue and pink pastel color combo on the handles and ferrules. The Performance Eyes Kit is essential in creating elaborate eye makeup looks - truly a must-have for advanced makeup artistry! The F20 is large and dense, making it the perfect tool for applying finishing powder and smoothing out makeup. What Sigma products are you loving most this month? http://www.youtube.com/watch?v=Y7_5Cbna0HQ I featured Sigma in my favorites, too! I am in LOVE with the E25, E30, E45, and F05 (as well as everything else by Sigma, haha). Bebexo is my favorite guru; she knows her stuff! F82, f40 and e35 just AMAZING how them work!!! 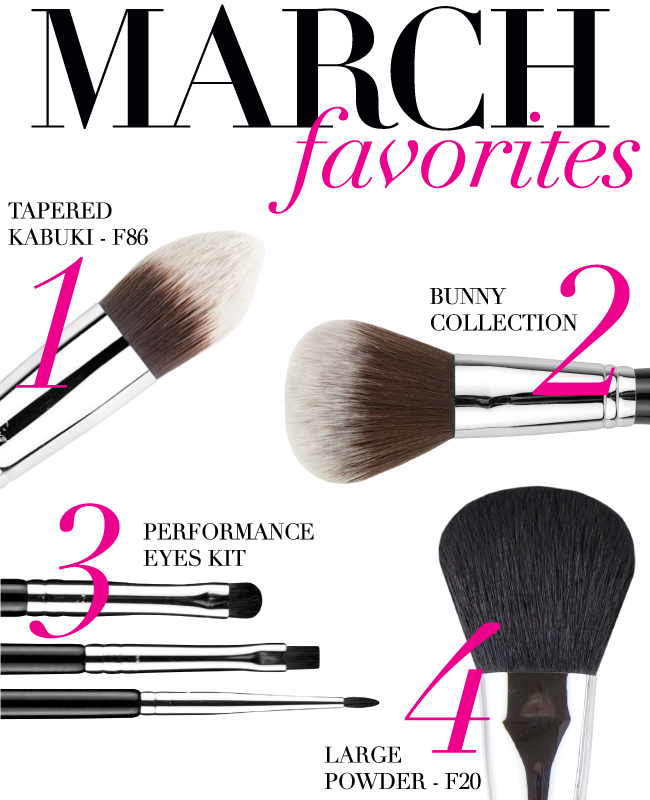 We agree - amazing brushes! I really love F82 and F84 very soft and smooth. Wanna try F80 too. performance eye kit , my sister has ..
Eu amo muito tudo isso também!!! Please Sigma Beauty, You need to create free shipment to Brazil! My favorite is the Performance Kit, Since I have a small lid these brushes are awesome to pack on vibrant spring eyeshadows to my lid and for detailing!!!! MY FAVORITE!!! Please check out my youtube channel I have some great reviews on Sigma brushes!!! Sigma my favorite brushes!!!!!!!!! Just LOVE it!! Yes, the F86 is indeed a wonderful brush! You need to create free shipment to Brazil! favorite sigma love love love!